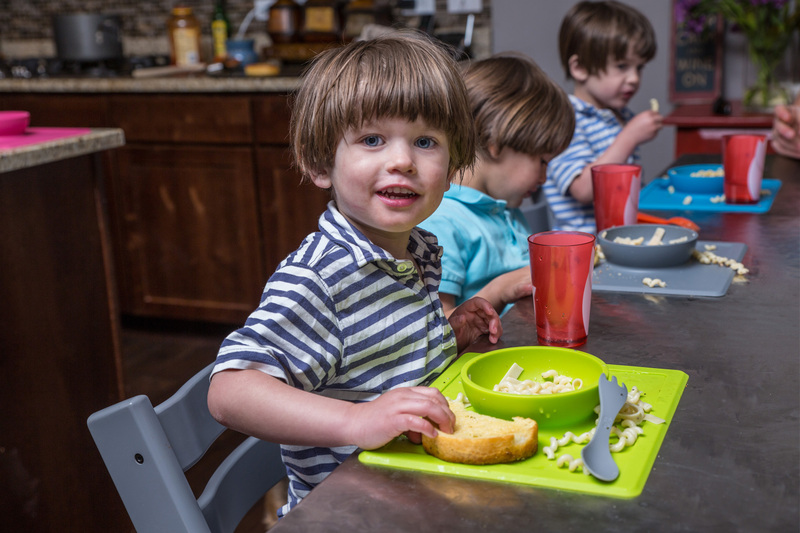 Our life can be pretty chaotic, especially at mealtime, and my husband and I were fed up with the messiness and cleanup time dedicated to each meal. One night (in the midst of his frustration) my husband said, "Someone needs to create something kids can't toss or throw at meals!" The next day I hopped online and, low and behold, nothing exists. From that day on I was committed to creating products that made meals with kids ezpz - and that is how the Happy Mat came to be!